Evenprime is here to make things simple. We’ve taken the best from Korea, the epicenter of skincare innovation, to create a pared-down, affordable line that aims to make good skin accessible for everyone. In 2017, Koh Kim launched Evenprime, after watching her brothers struggle to find the right skincare products that worked for their skin. She became inspired to declutter her own skincare collection and focus on the "tried-and-true essentials." Evenprime was born in Seoul and raised in Santa Monica. As Evenprime continues to grow, Koh learns more and more about what it means to be and what it takes to be a female entrepreneur. Most importantly, she's learned that vulnerability and being approachable are some of her strongest assets, not weaknesses. By letting her walls down, Koh has been able to connect with new business partners and learn from other women who have faced the same challenges that she has. For our Foxxtales readers, Evenprime will offer 20% off any of the featured products. All Evenprime products are formulated without sulfates, parabens, phthalates, mineral oils, artificial colors, and animal testing. The EVENPRIME core set is designed to be the foundation of your daily skincare routine: two simple, effective basics that keep skin clean and hydrated each day. The cleanser removes impurities without irritating or drying the skin. The moisturizer hydrates and soothes skin. 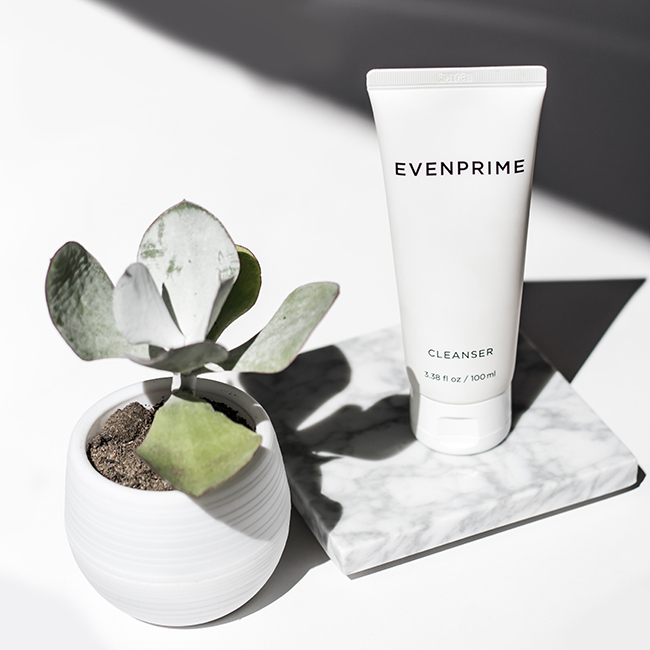 The Evenprime foaming cleansing gel removes impurities without irritating or drying the skin. This travel-friendly cleaner only needs a small amount to lather and cleanse. This lightweight, fast-absorbing moisturizer hydrates and improves skin texture and tone. Based on the popular "all-in-one" moisturizers in Korea, the Evenprime moisturizer replaces your toner, essence, serum and moisturizer in one product. It is travel friendly and can be used for all skin types. If you have dry skin type, we suggest adding a cream or oil to seal your skin's moisture barrier.